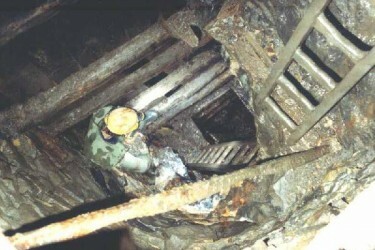 Simon Jones’s unrivalled record of Cornwall’s last tin mine. French horns. That was what we associated with Simon. He used to play one, he told us. That, and his annual attendance at the Henry Wood promenade concerts. His passion for photography was something we only really became aware of when he started attending our club’s annual holidays in May. Oh, and then there was the Vauxhall Viva. Back in the 1980s, our club used to arrange a caving and walking holiday in the spring. 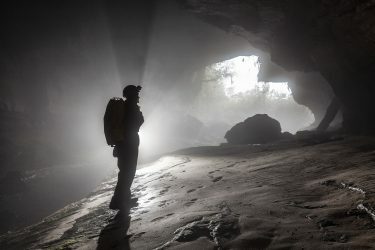 When Simon wasn’t underground in the mines and caves we explored, he was often out on his own with a camera, looking to improve his photographic skills. Cavers being cavers the rest of us would gently poke fun at his “unusual angles” or “quirky lighting”, but for me, I eventually tried to emulate Simon in my own small way. We still took the mickey though! Back home, he would spend many hours in the darkroom, trying different ways to improve his results until he had got the best set of photographs from his efforts. I simply took my film down to Boots and let them do the work. Inevitably, Simon’s photos were far superior to mine! 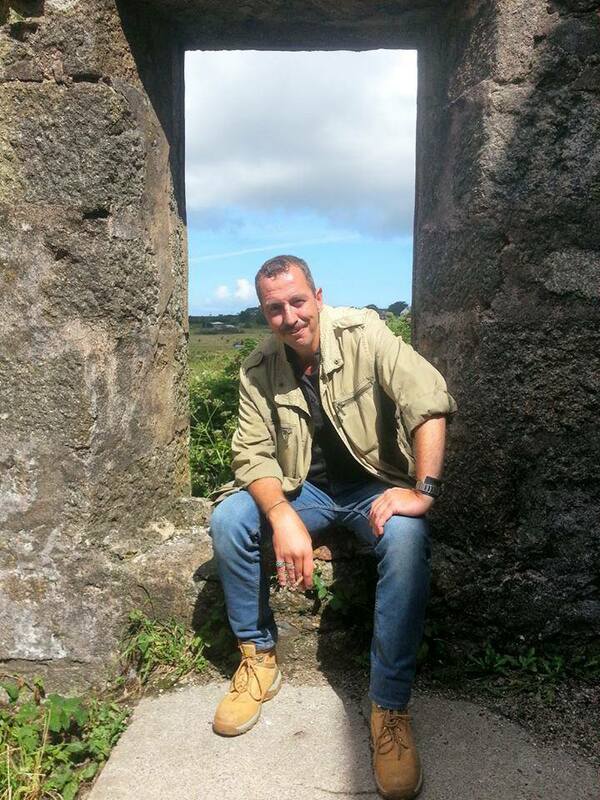 I think it was the club’s annual trips that introduced Simon to the mines in Cornwall. Our last visit to Cornwall was back in the early 1990s. Simon, though, had caught a bug. From that time he became a regular visitor, and despite the frequent long drives down from Surrey, has developed his two passions for photography and exploring mines to a noble end. Keen to put his skills to work, he had initially contacted a local mine historian Bob Acton and offered to supply photographs for future volumes of mining books he might be working on. Cheekily, Simon suggested the books deserved better illustrations than the ones published to date, and fortunately his proposal was accepted with open arms. Over the years Simon has been commissioned to provide photographs for a number of mining volumes, and has slowly built up an impressive record of abandoned mines in Cornwall, both on the surface and underground. 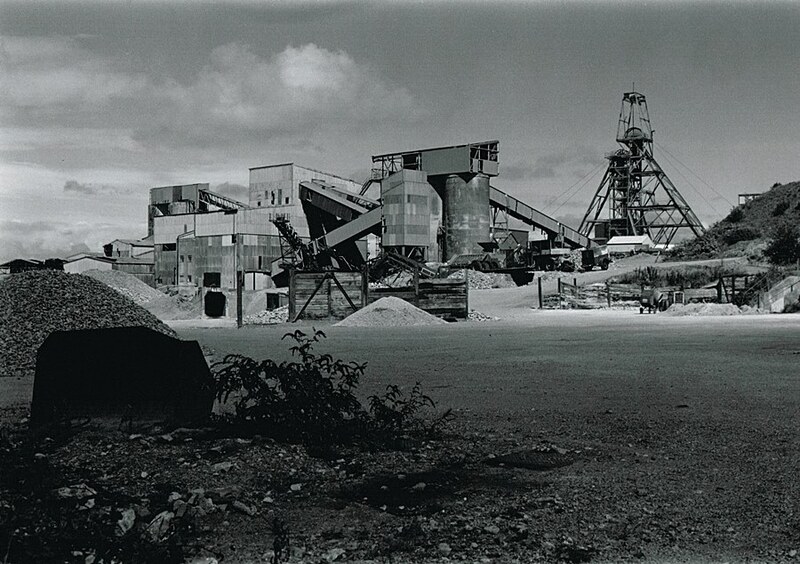 For five years from 1993 to 1998, Simon had special privileged access to South Crofty Mine, allowing him to create an amazing photographic record of the only working tin mine in the county, in its last days. How Simon gained the trust of the miners at South Crofty, is a mystery to me. As a mine-enthusiast from “up country”, you would think his chances would be slim. However, gain their trust he did, and he has honoured that relationship by publishing the results of the many hours spent down the mine for everyone to enjoy. 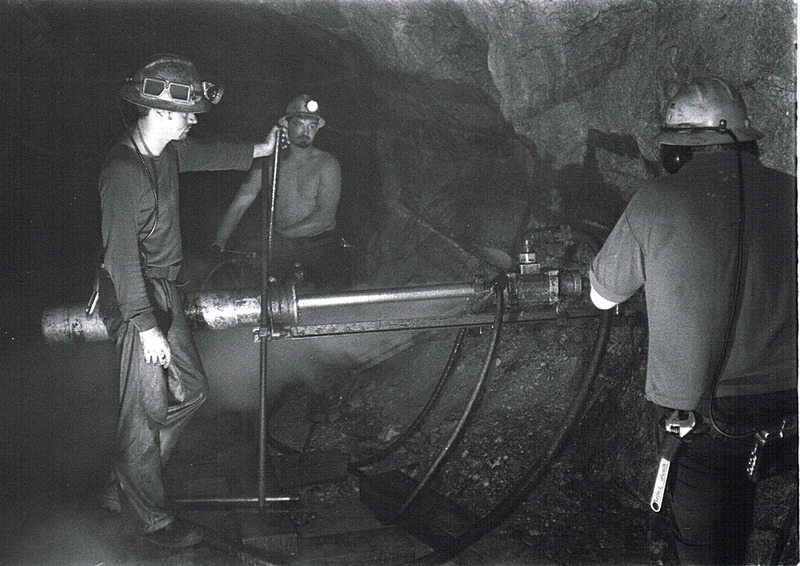 “Photography down the mine was hugely difficult, with temperatures over 100 degrees F, with high humidity (usually over 95 percent. ), keeping the lenses fog-free was a nightmare. On one visit we went to some of the deepest (3000 ft.) and hottest pars of the mine, the conditions were so extreme the emulsion on my film partially melted. My main enemy was time, the guys would take me down while they were working. I was always careful to stay out of their way and not hold them up. The missed opportunities for photographs were endless, as I had very little time to set up multiple flash or tripod shots. I was taken to parts of the mine that were off-limits to others and rarely visited”. Chatting to a mutual friend recently, I mentioned Simon’s work down South Crofty Mine, and Matt recalled an incident where Simon had carefully positioned a flash gun to record a truck being emptied into a crusher, but soon discovered the violent and uncompromising nature of mining when his £200 flash gun was shaken from its position into the rock crusher, never to be seen again! Let’s hope they didn’t take a mineral assay of that batch of ore. 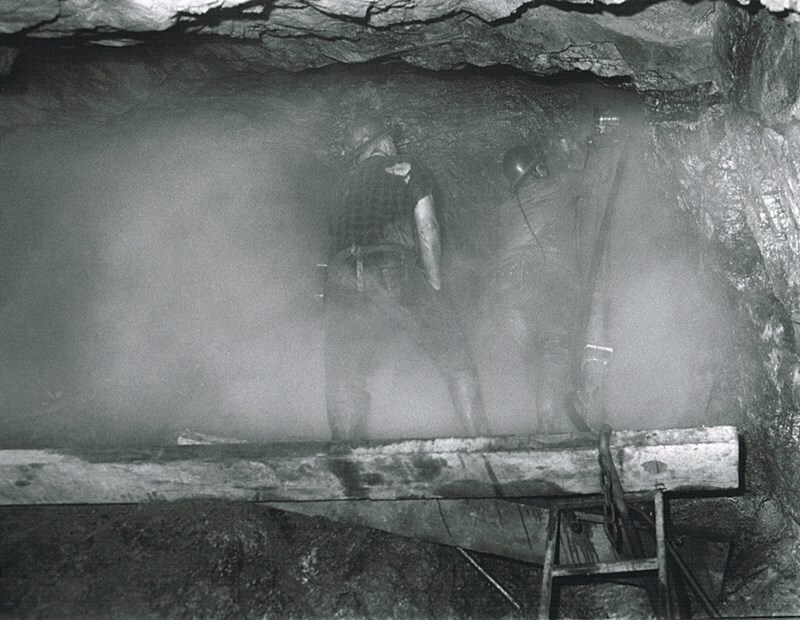 Anybody with an interest in Cornish mining, or underground photography should visit Simon’s website. Even after so many years, Simon continues to take out his rolls of negatives and look for hitherto ignored frames, or to improve further the images published. He still gets through 50 to 60 new rolls of film each year. Just as it was for that long-since scrapped Vauxhall Viva, the polish continues to be applied to these precious images, and unlike me, whose trips to Boots are ancient history, Simon has demonstrated that hard continuous work pays off, every time. A selection of Simon’s photographs appears below, with his kind permission. 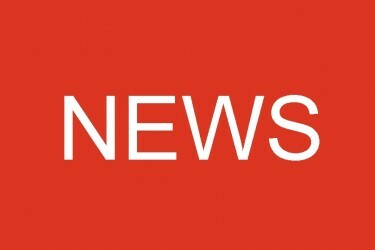 However, I urge you to visit the website galleries and see the many hundreds of images in context. 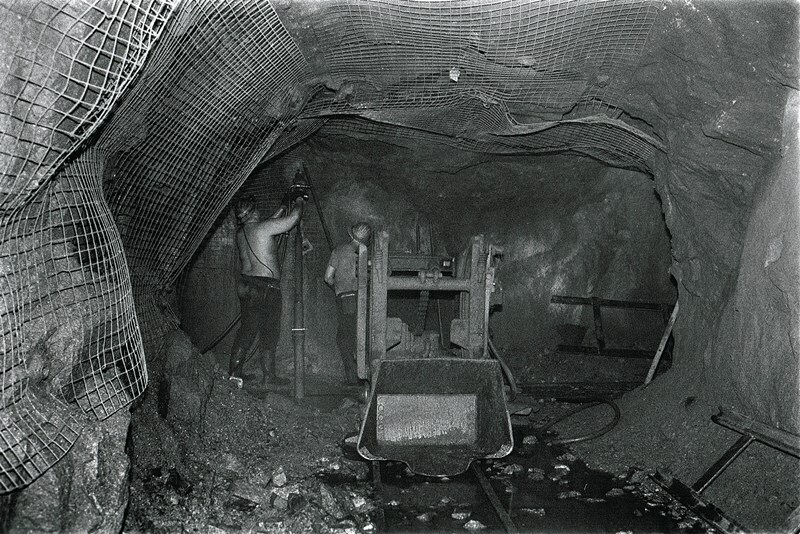 There you will find them in sequences of photographs, each telling a story of hard endeavour and effort by those who worked in Cornwall’s last working mine.